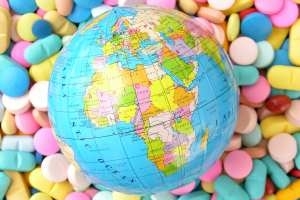 Africa is an easy target for medicine counterfeiters because most countries haven’t developed the “armoury of responses” used in other parts of the world, says a new report. The document prepared by the EU-funded ENACT Africa project notes that while other countries have developed “supply chain regulation, track-and-trace technology and enforcement regimes” to tackle the falsified medicines trade, African nations have lagged behind. “They often have a tragic impact on individuals in need of effective antimalarials, antibiotics and other medicines,” it adds. While the domestic pharmaceutical industry is growing in Africa, currently only 37 out of 54 African states have some level of pharmaceutical production, which means a high level of reliance on imported drugs. That’s another big problem, given that Nigeria’s regulator NAFDAC thinks that imports account for 75 per cent of the counterfeit problem. Furthermore, given their ability to authenticate drugs in the supply chain, track-and-trace systems of the type officially sanctioned and used in EU and US have shown great potential to thwart the penetration of counterfeits, says ENACT. According to World Health Organization (WHO) statistics, 42 per cent of detected cases of substandard or falsified pharmaceuticals occurred in Africa, while the London School of Hygiene and Tropical Medicine has estimated that fake malaria drugs alone cause up to 158,000 deaths every year in sub-Saharan countries.